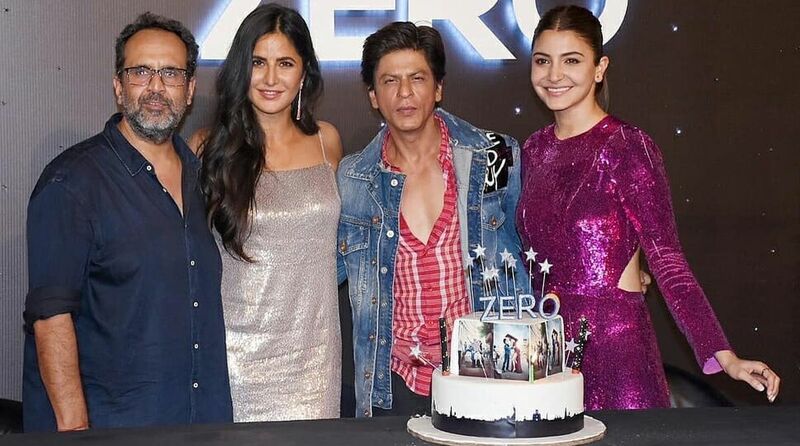 Anand L Rai directorial, Zero, which garnered mixed reviews from the audience and critics, did not manage to mint the expected collections at the Box Office. Speaking of the film starring Shah Rukh Khan the director said that he isn’t disappointed with the project. “I won’t say I am disappointed. I will need to understand (what went wrong). This is the story I wanted to say and I made it. After making Ranjhaanaa and Tanu Weds Manu and the second one, this film (Zero) was due for me to make… To take a certain flight and I have not landed on it properly. It is a learning and it will help me grow as a director. I am not afraid to take risks and experiment,” Rai told PTI. The film deals with a love triangle which involves Shah Rukh Khan as Bauua Singh, a vertically-challenged man, Anushka as Aafia, who is suffering from cerebral palsy, and Katrina Kaif in the role of an alcoholic film star. Zero is produced by Red Chillies Entertainment, Colour Yellow Productions, and Gauri Khan. Starring Anushka Sharma, Katrina Kaif and Shah Rukh Khan, Zero released on 21 December 2018.